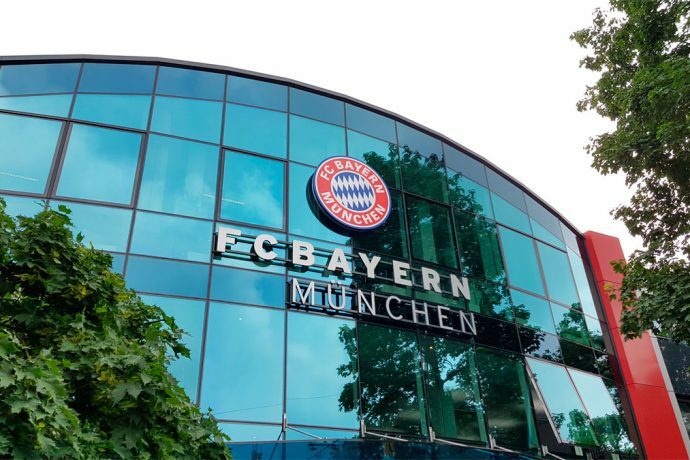 FC Bayern München AG has extended the longstanding and highly successful cooperation with Andreas Jung (57) and Jörg Wacker (51) over the long term. The supervisory board with chairman Uli Hoeneß has extended the contracts of the two executive board members, which were valid until the summer of 2019, by a further five years through 30 June 2024. Andreas Jung: “I’m delighted I can help shape the path followed by FC Bayern, which has been so successful in terms of both finances and football, for another five years together with our chairman Karl-Heinz Rummenigge and my fellow board members Jan-Christian Dreesen and Jörg Wacker. Above all, I would like to thank our entire supervisory board and its chairman Uli Hoeneß for the faith placed in me.” Jung has been active in various positions at FC Bayern since 1996 and has been an executive board member since 1 July 2010. A qualified sports scientist and sports manager, he is responsible at board level for sponsoring and events, as well as marketing and PR for the Allianz Arena. “FC Bayern is one of the world’s best clubs, and it’s an honour I can help shape the club’s future direction over the next few years. I would like to thank our supervisory board chairman Uli Hoeneß and all his fellow board members for the trust placed in me. I’m very pleased to keep following this path, which has been so successful so far, together with my fellow board members Karl-Heinz Rummenigge, Jan-Christian Dreesen and Andreas Jung,” said Jörg Wacker, executive board member for internationalisation and strategy. Wacker has been responsible at board level for internationalisation and strategy since 1 July 2013. He has also been responsible for merchandising and licensing since 2015.